Was this flag lost somehow? Is there anything I need to do to get this handled faster? Did the flag get lost somehow? 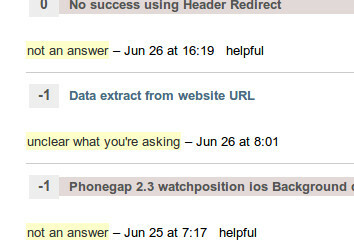 The question originally had only a couple obscure tags on it, so I thought that might have been the problem - but I edited it a couple days ago to add the c# and vb.net tags, and that doesn't seem to have helped. 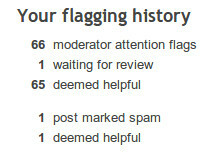 No, it's not technically lost, but flags to close a question are no longer shown in the moderator only queue. Thus, it needs others that have closing privileges to act on it. Your flags were acted upon faster in the past because the diamond moderators serviced them in turn, but they should only be handling exceptional cases, not simply questions that haven't gotten enough velocity to close. Keep flagging as you see stuff that you think needs closing, don't worry too much about what happens to it after that - beyond of course making sure that you're flagging appropriately. Actually there are huge close votes review queue on Stack Overflow. Your flag is one of them. And all close votes question comes in random order. That's the reason why your flag is not handled yet. Wait and hope for the best. Should I worry about flagging too much? Are posts flagged for moderator attention also visible to people having access to moderator tools? What to do with old questions that are off-topic? Do flags to close expire like votes to close? Why should a flag be declined if it was correct at the time?